Well it’s been a while since I’ve updated this. No I haven’t forgot to cook supper for my husband I’ve just been to busy to post anything. And now I bet you are wondering what I’ve been up to. Honestly I’m going to say life. Life just happens. And it gets busy, and crazy and all of a sudden it’s the next month! I know many of you are shaking your head and agreeing to this. I suppose I could blame it on the holidays but they haven’t really started yet. We have our first Christmas this weekend and then the madness takes off from there. Hopefully we’ll wrap things up in about two weeks and about 6 Christmas events later. I hope you guys have all your gifts bought, and wrapped and who am I kidding…it’s not the 24th yet why would we do that? I’m almost done but I always have to leave a few things to get right before Christmas. My philosophy is that if I get done to soon I’ll just keep shopping anyways so why get done early?? So if you are a procrastinator like me you can use that line too! Ok enough of that stuff…on to the recipe. I love lasagna but it takes so long to make and well when you get home at 6:00 from work you just don’t want to wait another two hours for supper so I found a lasagna recipe that is for the crockpot….here it is! More great Lasagna Recipes to try! The EASIEST Lasagna Recipe You'll Ever Make! 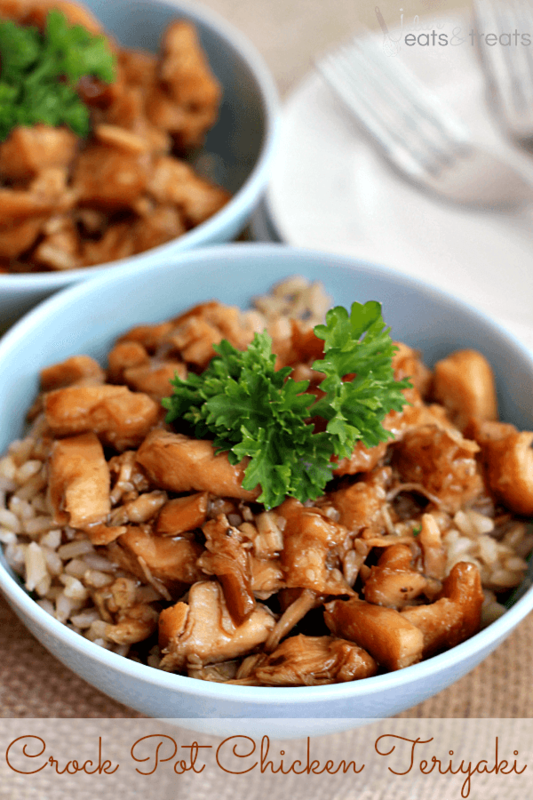 Quick, Easy, Delicious and Made Right in the Slow Cooker! Lasagna Noodles Layered with Sauce, Hamburger and Cheese! In a skillet, cook beef, onion and garlic over medium heat until meat is no longer pink, drain. Add the tomato sauce, water, tomato paste, salt and oregano; mix well. Spread a fourth of the meat sauce in an ungreased 5 qt. slow cooker. Arrange a third of the noodles over sauce (break the noodles if necessary). Combine the cheeses; spoon a third of the mixture over noodles. Repeat layers twice. Top with remaining meat sauce. 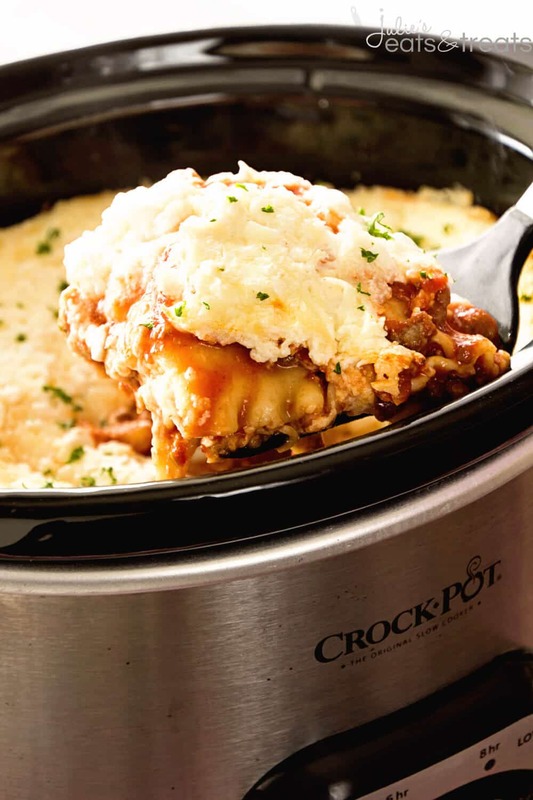 Follow my Best of Crock Pot Recipes Rounded Up Pinterest Board! 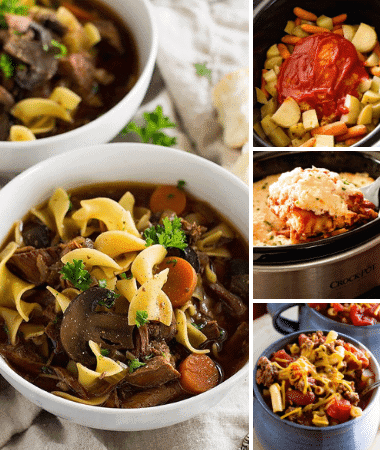 Delicious Crock Pot Meals on Julie’s Eats & Treats! 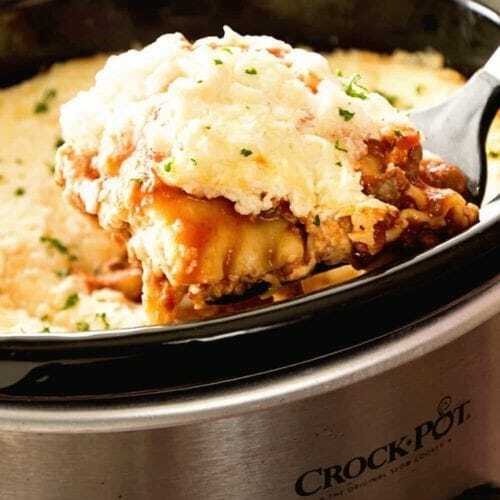 Hey great slow cooker dish! This week’s Food on Friday on Carole’s Chatter is all about collecting up slow cooker/crockpot recipes. It would be great if you linked this in. This is the link . I am following you now. Please drop by to Carole’s Chatter and check it out. If you like my blog it would be great if you followed me back. Have a good week. Hey this is wonderful because lasagna does take forever!! Hope you had a wonderful Christmas!! 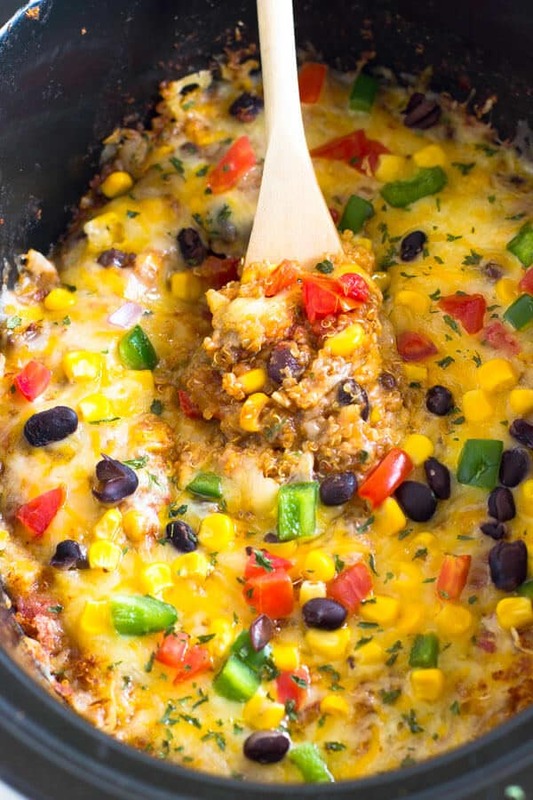 Looks awesome, comforting, and like our next dinner! I’m interested in making the crockpot lasagna However, I do not see in your instructions when to put the cottage cheese. Please explain where and when the cottage cheese gets included in this recipe? It would go in the mixture called “Cheese Mixture” in the instructions. Can I use fresh Lasagna noodles instead of the hard ones? Can I use Ricotta cheese instead of Cottage? Fresh lasagna noodles I’m afraid won’t need as much moisture? Yes you can use ricotta cheese if you prefer. 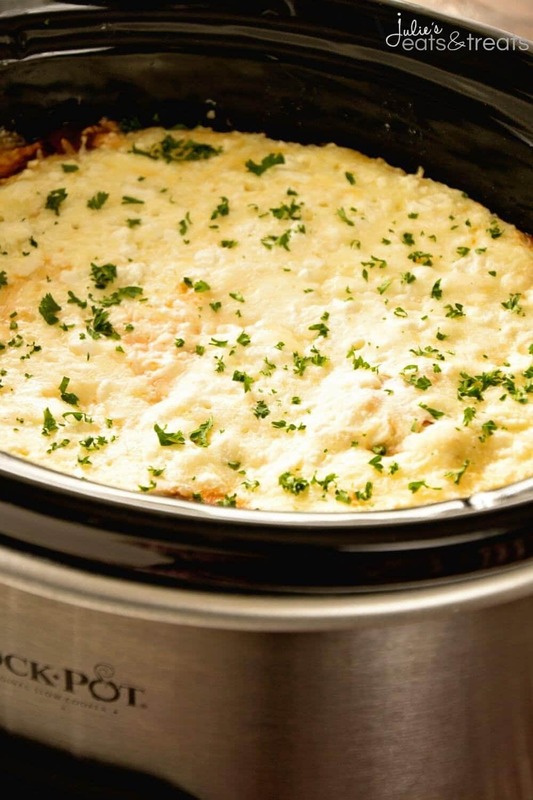 Can this crock pot lasagna be made the day before? Yes it can be prepped the day before and cooked the next day. Is that what you mean? 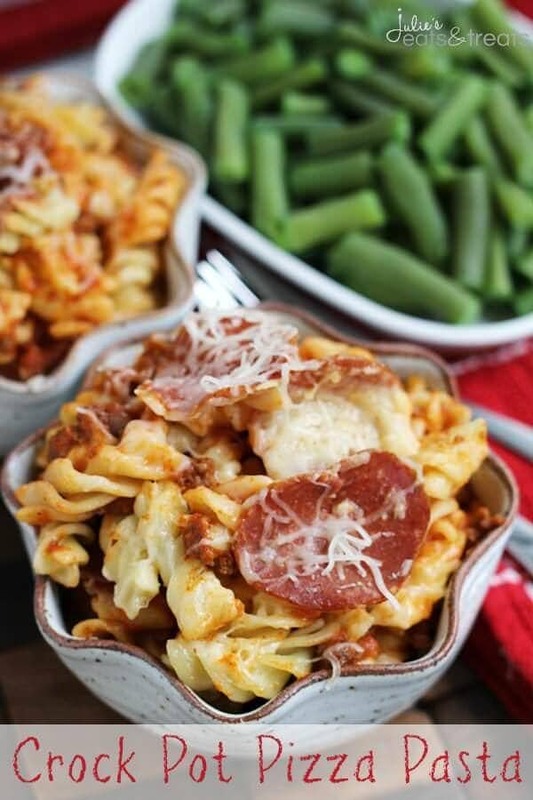 Do you use regular lasagna noodles that normally would need boiled or the oven ready noodles? Definitely trying this soon!! Thanks for sharing! Is it possible to freeze this if I’m not going to cook it for a couple days? Yes I would take it out the night before cooking if you do that!